When it came time to sell our mother's home I called Charlene after seeing one of her signs in the neighbourhood. From my first conversation with her, she had excellent local knowledge, a thoughtful process and offered sound advice. Charlene and her team made the listing and selling process easy, and it’s not a surprise we received an excellent and timely offer on the house in 24 hours. Charlene through a team member also assisted our daughter with a rental in downtown Toronto which has been a great success. 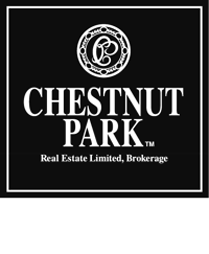 Most recently, Charlene offered to access the resources at Chestnut Park Real Estate to help with a fencing issue at our current house. Charlene goes well beyond the call of duty and has been great - I am delighted to recommend Charlene! Charlene did a terrific job representing our interests. As out of town sellers and not able to be there all the time, we had to rely on Charlene being our feet on the ground. She went above and beyond, was always on call and easy to reach. At no time did we feel we were in this by ourselves. Her experience and deep knowledge of local market conditions made us feel comfortable during the entire process. Her recommendations on how to show the house were always sound. Charlene and her team of stagers, cleaners, packagers, movers etc. saved us enormous headache. We especially valued her cheerfulness, friendliness and positive attitude. We would not hesitate to recommend her. Charlene was highly recommended to us from Leaside friends. We worked with Charlene to purchase our new home and to sell our existing home. We weren't sure if we were going to buy or renovate our existing home because we had specific criteria for location and what we wanted in a new home. Charlene was very supportive, professional and knowledgeable to work with. She found us our new home off the market and guided us through the process of selling our home. While her team assisted in the listing process, Charlene provided a very personal approach and we would highly recommend her to anyone looking to buy or sell in the GTA. We had the pleasure of working with Charlene on a buy / sell recently in Leaside. Charlene was absolutely amazing to work with. She was professional, experienced, and provided great knowledge of the Leaside market. The purchase and sale happened so quickly for us it was great to have Charlene’s experienced hand guide us through the process – she provided great advice and ensured no detail was missed. Charlene and her team worked very hard and they greatly exceeded our expectations. Charlene is someone you can trust and we would gladly recommend her services to anyone looking to buy or sell in the GTA. For the third time in seven years, the choice was obvious when it came to who we wanted to lead our real estate transaction. Charlene Kalia was involved in the sale and purchase of our previous houses --- which were seamless in process and execution --- and so when it came to selling, staging (which was a first for us) and buying - Charlene was it! Again, everything from start to finish was handled with the utmost professionalism, excellent communication and the highest respect for our needs, timeline, family, budget, etc. Even the idea of packing up our home and three children and living elsewhere while the house was staged was handled flawlessly and with great care and consideration. It was actual an enjoyable experience! Charlene took care of us as she always has --- like members of her family! In 2014 my husband and I put Charlene to work on both selling a rental property for us as well as purchasing the chattels in a commercial deal. On our residential deal she left no stone unturned. She gave us feedback into the best time to list, did extensive research into other property that was currently listed as well as property that recently sold so that we went to market with the right asking price and gave us input into small updates we could make to the property to help it sell. We chose to go with one of the stagers she recommended and I was amazed at how they transformed the space and how smoothly the whole process went. The listing itself was thorough, meticulously written and accompanied by professional photographs. We were thrilled to receive multiple offers and even though I was out of province on offer day which added a level of complication to the process, Charlene was not fazed in the least. Her professionalism with other realtors was reassuring. She handled difficult questions with ease and our home sold for well over asking. I wouldn't hesitate to recommend Charlene to anyone looking to buy or sell in Toronto. We wanted to work with someone who was extremely knowledgeable and professional and we could tell that Charlene was both of these within the first few minutes of meeting with her. She was patient with all of our questions, took the time to understand our needs and wants, and then helped us prioritize the must haves. Charlene made sure she knew what we wanted, and she delivered. We viewed 4 houses our first day and purchased our dream home only 2 days later! Above all else we had a lot of fun with Charlene.... even though house-hunting isn't exactly stress-free, we managed to share many laughs throughout the process. We would recommend Charlene to anyone looking at buying or selling. Charlene Kalia was recommended to us by a good friend, but ultimately we partnered with Charlene on our buy and sell because of her knowledge of the market in our neighbourhood and her professionalism. She understood what we wanted to achieve and was proactive at problem-solving to help us find resolution on many fronts. We were very satisfied with her performance -- she got the job done! Charlene was exceptionally patient with us and showed us a number of properties over an 18 month period. We had a very specific wish list to accommodate our large family, which isn't easy in the centre of the city. She was very knowledgeable about market prices, and her strategic advice was consistently excellent throughout the offer process and in the marketing of our home for sale. An intelligent agent with a superb eye for detail, and wonderful customer service. I would not hesitate to recommend her to anyone planning to buy or sell a home in Toronto. Very Professional and works extremely hard at getting the job done. Reliable, timely and keeps your interests at heart! We wouldn't hesitate to recommend Charlene! I used Charlene to purchase my house in Toronto in 2008 and again in 2009 when I sold the house. I found her to be very knowledgeable in the market and neighbourhood, always attentive to what my wife and I had to say and thought but tactful enough to get us to do what she knew was right and in our best interest. She delivered great results for us both on the buy and sell side. I would not hesitate to recommend her or use her again if I ever need to buy a house in Toronto. Charlene acted as our agent purchasing our house in Leaside. She worked with us for over two years to find the right location. She is a very determined person who expends a lot of energy and attention on her clients. I recommend her services! Charlene is truly an exceptional real estate agent who I’d be pleased to recommend to anyone looking to buy or sell a house. She went beyond the “call of duty” for us to ensure we were able to find our dream home in the neighbourhood (Leaside) we were looking to move into, and did a tremendous job in assisting us with the sale of our house. She is an extremely service oriented person and is someone who thinks outside the box in trying to achieve her clients’ goals. Charlene Kalia is the only choice to serve your real estate needs. She has sold, our homes, bought our condo and continues to deal with our commercial real estate in Toronto. She made herself available to us at all times and sent us listings on a daily basis tailored to our interests. Even after we had moved into our new home, Charlene was extremely helpful. She provided numerous contacts for us related to home renovations that we required. She made follow-up calls to ensure things were moving forward. Charlene has an excellent knowledge of the real estate market and assisted with timing the sale and purchase of our homes to capitalize on the market environment. We would never use anyone else. She is the BEST! I learned of my transfer from Montreal to Toronto in late July and immediately began my internet research for a home and an agent. I met Charlene this way as she was the agent on a home in Leaside that we were interested in. No pressure, good advice, lots of research, that was my first impression of Charlene. More importantly, my wife Mary felt very comfortable with her. For the next couple of months as I travelled acrros the country for work, Charlene researched, visited and organized visits with Mary. I was asked to attend only when they both agreed. Common themes throughout, no pressure, good advice, lots of legwork, never seemed to be a bother when we called her. We ended up buying a great house in Rosedale which we love and have referred her anyone we know who is moving here or upgrading their home. We know they will be well taken care of! Charlene's dedication and incredible level of service made all the difference when I purchased my first home. She took the time to understand what properties would and wouldn't work and often investigated listings on her own time to ensure I wouldn't be wasting my time in viewing unsuitable ones. Once we found the perfect house, her advice and assistance proved invaluable in closing the deal. Buying a first home in a "red hot" market could have been very daunting but Charlene was with me every step of the way. Her professionalism and integrity are second to none and I cannot recommend her highly enough. As a first time home buyer, I had the pleasure of working with Charlene Kalia. She was thorough, patient, proactive, and informative about the process and the real estate market. Making such a significant purchase for the first time requires partnership with someone you trust and I was lucky to have her assist me through this process. I would definitely work with her again to buy/sell future real estate and highly recommend her services to anyone in search of an agent in the GTA. Charlene Kalia was very helpful and diligente in both selling our house and helping us find our new one. She worked with us for a year and half in searching for just the right house. When it came time to sell our home, she brought along a full package of services, bringing in a contractor to do repair work and a stager to increase curb appeal. She even brought boxes and helped us declutter! Professional pictures were taken and Charlene put together a very nice looking sales brochure. As a result, we were inundated with interested buyers. There were five offers and the house sold for more than $50,000 over asking in less than a week. It was a pleasure working with Charlene from day one. She is a true professional. She took the time to get to know our needs and wants, to better identify potential homes that would fit our profile. That saved us time and energy! We really appreciated that Charlene, was someone who had her finger on the pulse of our targeted neighbourhood. She knew the in’s and out’s of what was moving on what streets, in addition to somehow having a walking “memory databank” for price histories on properties. Charlene demonstrated a consistent record of being prompt, organized and prepared. Her level of service was extraordinary and she often went beyond the call of duty to satisfy our needs. In fact, her level of knowledge and experience proved to be very useful to us as she always had a reputable contact or suggestion for our “other” needs, i.e. Builders, Architechs, Designers, Home inspectors, etc. You name it, she could recommend someone or someplace to assist you! If you are looking for someone who will “WORK FOR YOU”, is detailed oriented and talented, charming Charlene is the one. With us, she was always on the ball and operated with integrity, especially given the wild market we were operating in. I would use her again and have been proud to recommend her to others. Our learning curve buying a house in a new province was pretty steep. Charlene guided as all the way in a professional, compassionate and understanding manner. Throughout the process she was incredibly sensitive to our needs and those of our children. There are so many specific things to consider about buying a home and moving, when you have children. She made suggestions, gave us food for thought and a gentle guiding hand when required. The consummate professional, Charlene's honesty and easy-going nature made us both feel comfortable with a process that presented many challenges along the way. Her thoughtfulness, compassion and desire to ensure her clients happiness are traits to be cherished in a real estate agent. We are incredibly lucky to have been introduced to Charlene and recommed her highly! Dear Charlene, We wanted to let you know outstanding you were as our realtor. You exceeded expectations during both the selling of our house, and the purchase of our new house on all levels. We don't have words enough to thank you for all you have done. You balance strategic "big picture" thinking, with excellent attention to detail, which results in a incredibly solid experience for us as your clients. You are incredibly action oriented, and go the extra mile - too many examples abound....Whether it was providing very detailed advice on how to maximize value as we prepared to sell our existing house, or helping to negotiate the very complicated purchase of our new property, you were very generous with your time and help. Buying and selling a house is one of the most major stressors in a families' life. You helped to smooth out the process and usher us through it - and we came through intact and extremely satisfied! There was not one need unmet, no stone left unturned. We would not hesitate to refer you, and we do far and wide! I have nothing but wonderful things to say about Charlene; no detail was left wanting in regard to all aspects of selling my home. From the first interview, I found her to be a very personable, comfortable and professional person to deal with--I had no doubt that I wanted Charlene to sell my house. There was never any need for me to send Charlene reminder e-mails about “next steps” – she never missed a beat. If I had any questions, no matter how trivial, they were well considered and respectfully responded to. I felt Charlene’s attention to detail and recommendations when it came to showing my house surpassed even that of my Stager. The house “sparkled”--especially with the profusion of fresh flowers which were all Charlene—even bringing her own perfect vase. Of course the most important thing was getting the price I had in mind – well watching her professionalism on “offer day” gave me all the confidence I needed. I received well over asking for my house. Indeed I could not have been happier! Charlene is not an agent who just “fell into” the profession: she was meant to be a Toronto real estate agent. Thanks to Charlene we found the perfect home in the perfect neighbourhood! She worked long and hard to help us find what we were looking for and even when we were ready to give up she kept us going! Many thanks to our excellent agent and now friend! It was an absolute pleasure working with Charlene! We felt like we had someone working hard for us in our corner at all times. Her team and contacts helped us quickly get our house ready for the market - it sold well over asking with multiple bids! She is a patient and knowledgeable professional who went above and beyond to help us achieve this important move. Her expertise in the Leaside market and accurate advice throughout the process helped us with the decision to purchase the right home for our family. We would highly recommend Charlene to anyone considering a move! When it came time to look for a realtor, we knew immediately who we wanted to work with. Charlene has so much passion & enthusiasm for finding her clients the perfect home. We immediately felt comfortable and at ease working with her. She is extremely knowledgeable about the housing market and Leaside in particular. Charlene’s team of professionals helped us prepare for our move and were there at every step to answer questions and help reassure us during a stressful time. I would highly recommend working with Charlene. In no time at all, she found us the perfect family home that fit our price range and had everything we wanted. Additionally, in a difficult market Charlene was able to sell our home for way more than we thought possible.